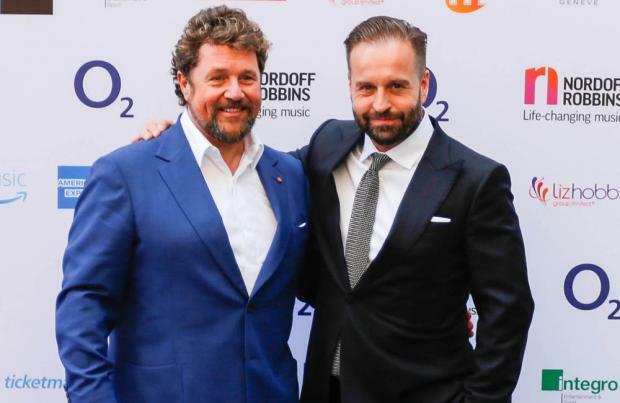 Michael Ball & Alfie Boe will headline the final night of Hampton Court Palace Festival on Sat 22 Jun. Tickets for the show are available from 10am on Thu 14 Mar. The classical duo will round off an impressive month of music in June at the royal landmark in London, which sees the likes of Nile Rodgers & Chic, Kylie Minogue, The Jacksons and Tears For Fears perform. The pair – who were named Best Group at the 2018 Classic BRIT Awards, and have had two number one albums to their name – last played the idyllic Palace Gardens in 2017.The final headliner announcement comes after Nile Rodgers and his band added a second show at the extravaganza due to demand. The 'Le Freak' hitmakers – who released their first album in 25 years, 'It's About Time', in September – sold out their first date on June 14, and will now play a second concert at the 3,000 capacity Base Court – one of the Tudor courtyards in the stunning grounds of the historical landmark – on 15 Jun. Caro Emerald will play the festival on 12 Jun 2, jazz star Jools Holland performs on 6 Jun, new-wave pioneers Tears For Fears on 18 and 19 Jun, and pop legends The Jacksons on 7 Jun. Kylie will headline on June 20 and 21, for what will be the Australian pop princess' only London dates of the summer. The finale night will also see a fireworks spectacular over the palace. Tickets the day go on general sale at 10am on Thursday 14 Mar. Music festival throughout the month of June.